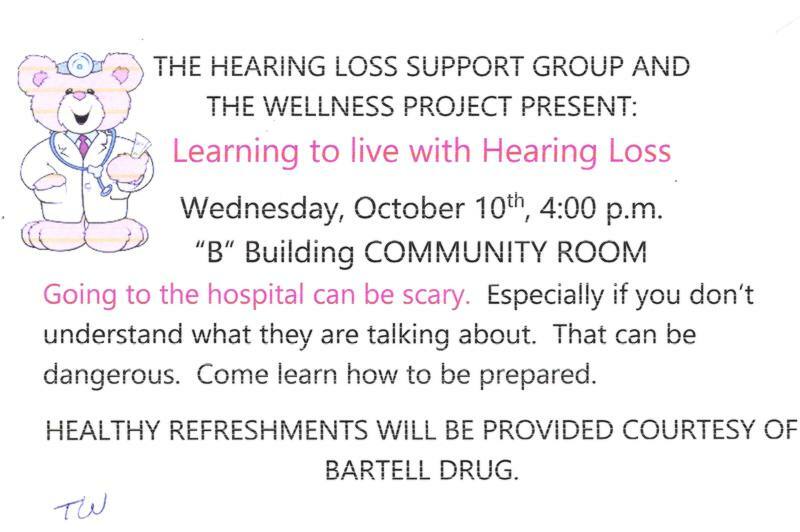 The group meets every two months to share information about improved hearing and technology. Led by Judi C. and Tom D.
Below is an audio recording of the July meeting. This PDF document is the list your hear being read in the audio recording. Own voice should be "acceptable"
Some sounds may be strange to me initially, including my voice, footsteps, birds and newspapers. Additionally, other things like FM, speech-reading, good listening skills will also benefit me. I still may have trouble hearing in some noisy situations. I may have to modify my environment for better hearing.